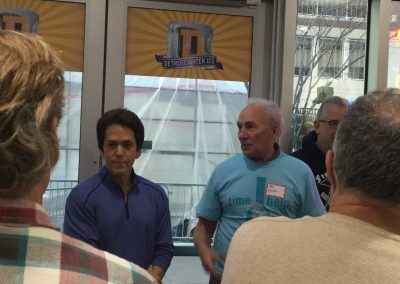 Detroit — When the Michigan Masons and Michigan Masonic Charitable Foundation became large supporters of Mitch Albom’s S.A.Y. Detroit charities last fall, they stressed that their commitment would be more than financial. 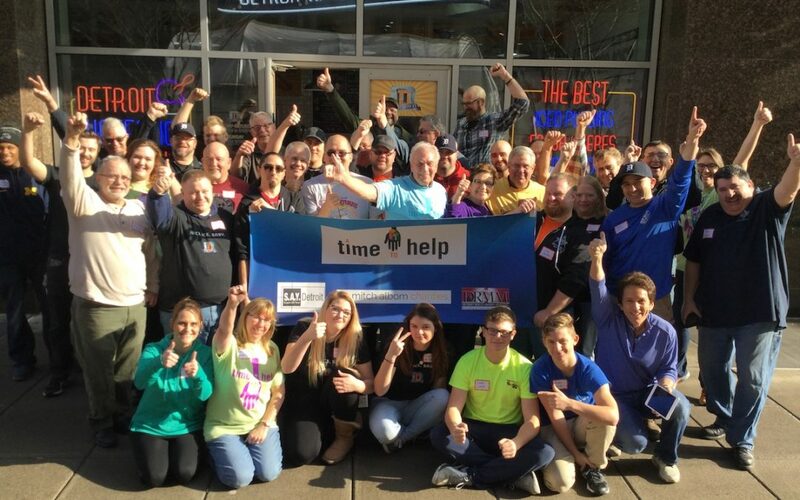 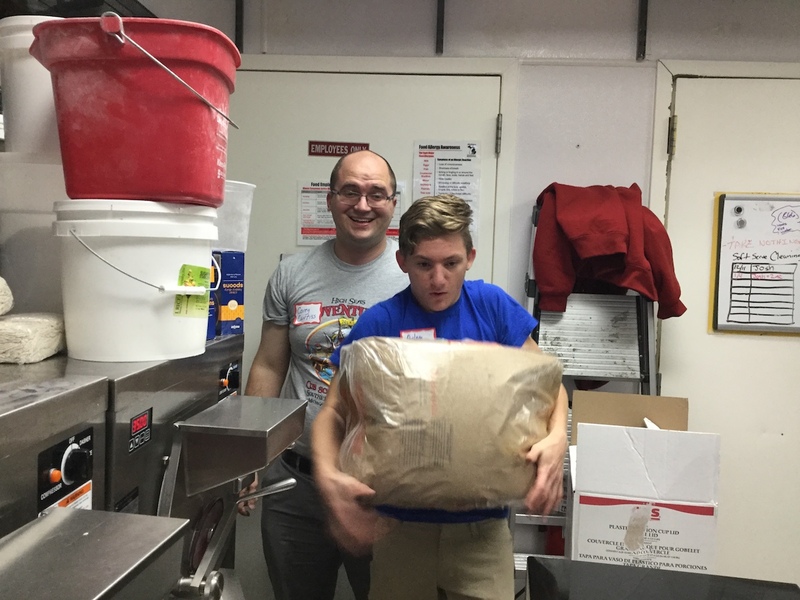 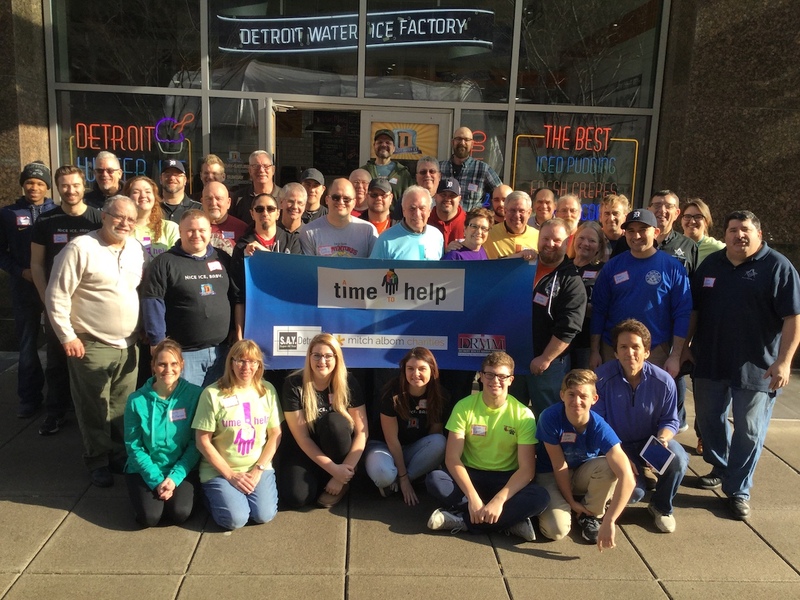 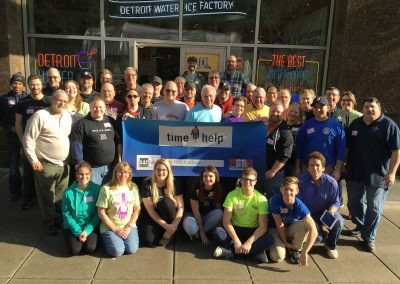 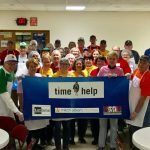 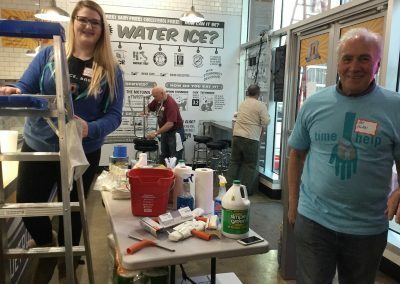 They proved that once again on Saturday, January 21, when nearly three dozen Masons and their families joined Albom at The Detroit Water Ice Factory in downtown Detroit for an exclusive A Time to Help project. 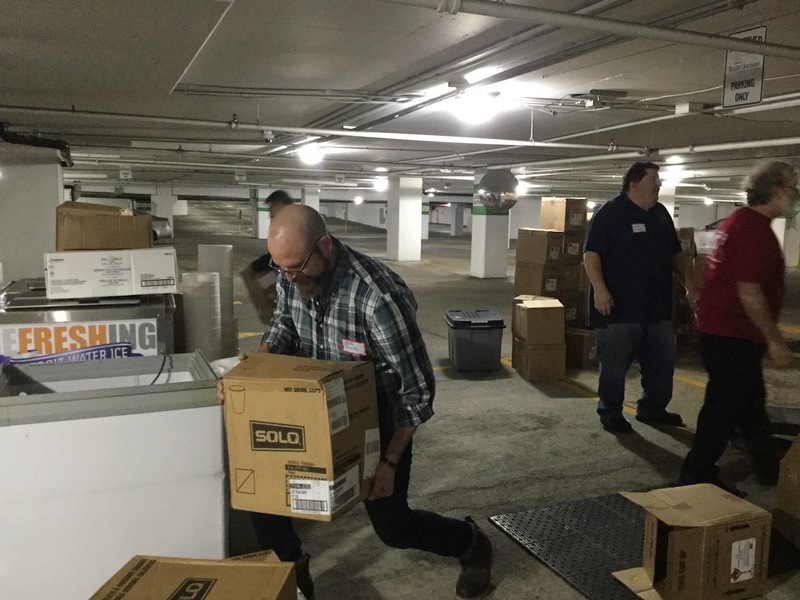 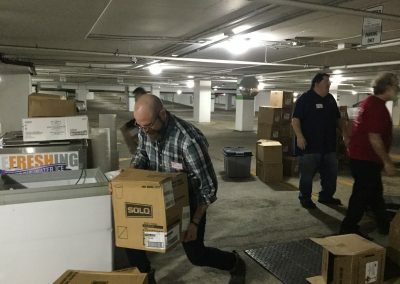 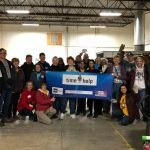 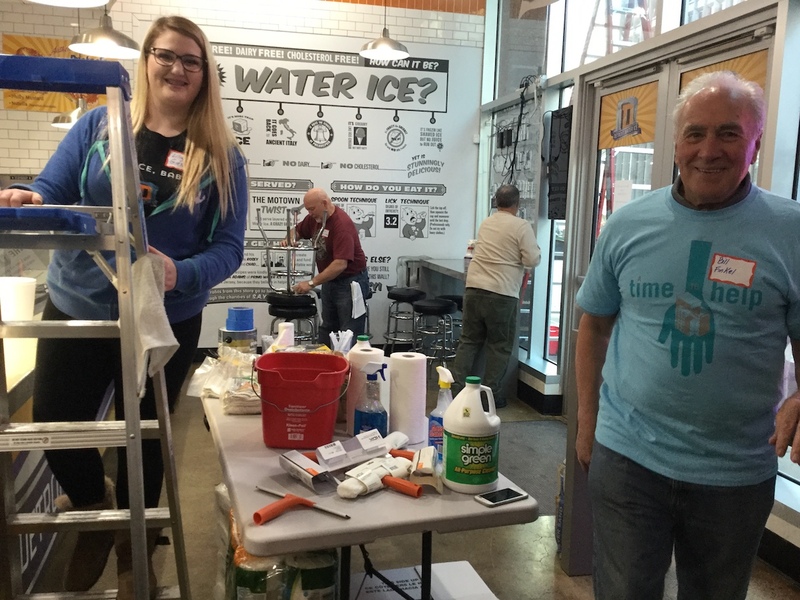 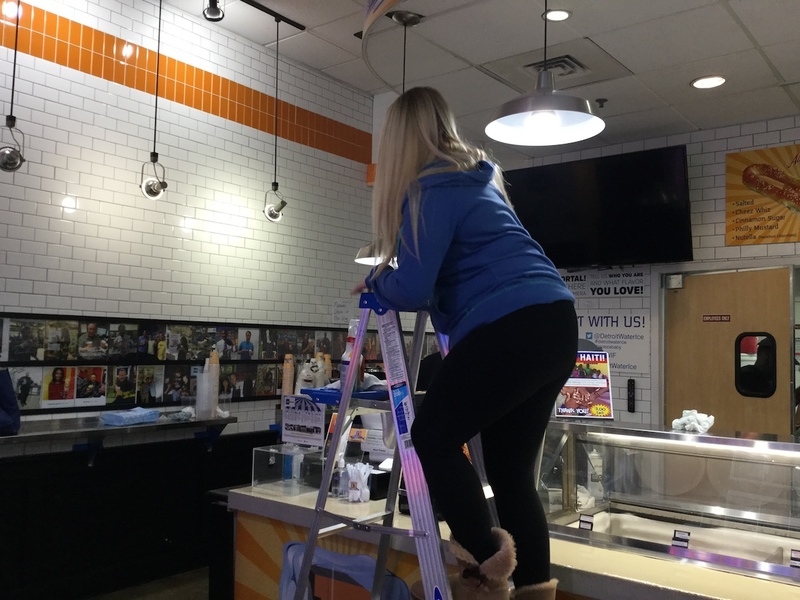 For more than two hours, the volunteer group did a deep-cleaning of the store and its storage facilities, from scrubbing floors and windows to organizing items and products sold at the shop at One Campus Martius. 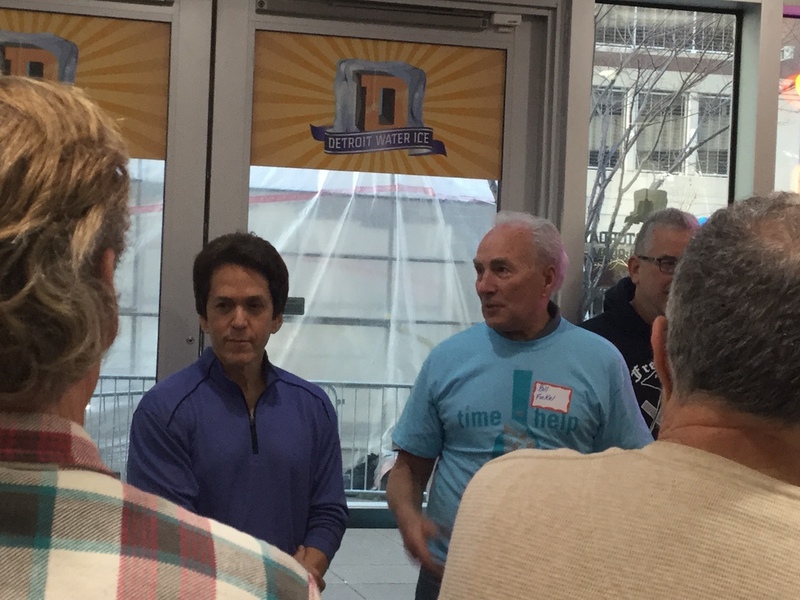 Created by Albom, the DWIF opened its flagship location at 1014 Woodward Avenue on Aug. 4, 2015. 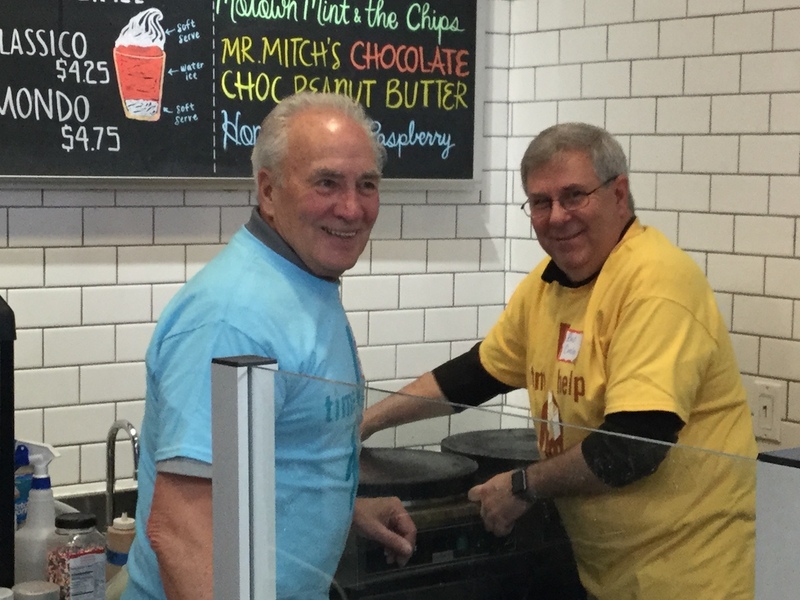 The store follows the “Newman’s Own’’ model of philanthropy, offering a delicious frozen ice dessert – and other products — with the sole goal of raising funds to help others. 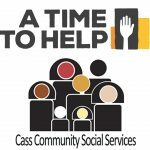 All profits from the store benefits Detroit’s neediest citizens under Albom’s S.A.Y. Detroit umbrella of charities.